The recent decision from The White House to remove Hezbollah from the terror list, coupled with statements from John Kerry regarding possible future negotiations with Bashar al-Assad, should worry and enrage us all. In the world of geopolitics everything is connected, and nothing occurs in a vacuum. Israel’s recent presidential election, and US negotiations with Iran over nuclear energy, show that actions taken in the Middle East can have far-reaching impacts. In our globalised world even a phone call taken privately in one country can be heard on the other side of the globe. With this complex web of connected activity ever shifting and changing, and with the US intent on being at the centre of everything, it is their actions which we should take most notice of. Though recent developments with Cuba are cause for optimism, their actions on the topics of Venezuela, and in the case of this article, Hezbollah and Syria are cause for concern. 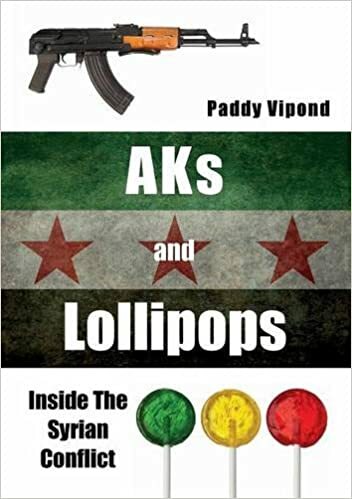 At face value it seems these issues are not connected and they are separate policies with no relation to one another, but for those of us that have a better understanding of the events in Syria, the dots begin to connect themselves. Assad, for those that have been hiding under a rock for the last five years, is the man responsible for the ongoing war in Syria. A war that has caused the deaths of roughly 250,000 people, has seen almost four million refugees flee the country whilst seven million more are displaced internally, and has been the reason why 1.5 million civilians have been seriously wounded. It is a war whereby Assad and his regime have been guilty of indiscriminate targeting of civilians through their use of barrel bombs, torture, and the multiple uses of chemical weapons. All of which are human rights violations and constitute war crimes. The most recent example of Assad’s fondness for brutality came just a few days ago when chlorine gas was used in the town of Sarmin killing six people and injuring many more. Regardless of these facts it seems that the US is softening in its approach to Assad, with Kerry’s recent declarations proving to be more in line with diplomacy and appeasement, than the non-negotiable opposition that tyrants deserve and indeed require. Just days after Kerry’s statements on the possibility of future negotiations with the Assad regime in Syria, a report was published by the Senate Armed Services Committeewhich failed to include either Hezbollah or Iran under its “terrorism” section, something the report had done in previous years. Hezbollah are a political and militant movement who are based in Lebanon, though as their excursions into Syria show, they are not opposed to getting involved in conflicts in other nations. Ever since its formation in 1982, the organisation has had close ties to both Syria and Iran, and represent a long-time enemy of Israel who they fight on a regular basis. As well as participating in conflicts across the Middle East they are also responsible for a number of terrorist attacks against Western and Israeli targets. With Iran and Hezbollah being removed from the terror list, and with Obama administration personnel expressing the view that an end to the fighting in Syria can only be achieved through negotiations with Assad, those opposed to the regime may well feel betrayed. They have every right to be. As if the world’s silence and inaction were not enough, now it seems their demands for a free Syria, without Assad, are being ignored as well. As always, if you have liked what you have read please Share, Like, Comment and/or Reblog. Don’t forget to check out the related articles. And please Follow for all the latest updates and posts. Into a fairly poor, but loving Muslim family you are welcomed. You are the pride and joy of your parents. They adore you. After a few years you are joined by a brother. Another patter of feet on the floor, and another mouth to feed. Your father takes on more work so that he can provide for his two wonderful sons. The work is tough, and the pay is poor, but that is to be expected as an immigrant in a European country. On the rare occasions your father has time off work he tells you stories. You hear about what life was like for him back in Algeria when he was your age. You love hearing these stories, as does your mother who sits you on her lap to listen. One day your father fails to come home from work. Your mother cries a lot, which makes you cry, which makes your brother cry. You never see your father again, and you never see your mother’s smile again either. Your mother falls ill. She can’t get out of bed, and a doctor is called. Not long after your eighth birthday, your mother dies. You think it was a broken heart. You and your brother are moved out of your small apartment and into an even smaller home. You are told that it is an orphanage. There are lots of other children there. You miss sitting on your mother’s lap and listening to your father’s stories. As the years pass you grow up, and so does your brother. You two are inseparable and mature quickly. After experiencing what you have, it is unsurprising. You don’t focus too much on education, but you do discover books by Jean Paul Sartre, Albert Camus, and Frantz Fanon. These, along with the Koran, are your most read publications. Through Fanon you learn about your father’s homeland, and how France had occupied and brutalised it for years. It angers you, but you are glad that Algerians and French people can now get along. Not long after your 18th birthday the world was rocked by the events of September 11th. Suddenly the word terrorism was on every news channel, and on every pair of lips. From that day your world begins to change. The non-Muslim friends you have begin to drift away. No longer do you feel welcome in the company of some of them. Neighbours that had previously been friendly and polite become less so. As you begin to feel ostracised from society you turn more and more to Allah. Whereas once you would pick up a beer or a smoke, now you lift the Koran. You are looking for answers, but also for security. As you and your brother grow through your teens and into your twenties, the War on Terror intensifies, and you begin to feel like victims. Despite the protests which you participate in, Iraq is invaded illegally, and as the months pass you see hundreds of thousands of innocent Muslims die. You feel angry because of this. So do other Muslims in your community and around the world. You begin to talk with others who feel like you, mostly on the internet, but there are some very passionate men at your Mosque and they are eager to talk to you. You listen. Soon your brother joins. One day your Mosque is vandalised. Graffiti has been sprayed on the wall saying that all Muslims are terrorists and they deserve to die. Bacon is pinned to the front door. The group of men you associate with at the Mosque are furious. They speak of revenge. They speak of justice in the name of Allah. You do not know what to think. Vandalism, discrimination, and attacks against Muslims in France increase. Your brother is beaten up as he returns home late one night. Still the innocent Muslims in Iraq die. News is soon broken that not only are Muslims being killed, but they are being tortured. Horrific images flood the papers, internet, and television. It is as the men in the Mosque had said, the West’s War on Terror is in fact a war on Islam. You want to help the Muslims in Iraq, and you want to show that American, British or French soldiers cannot do that to people. They cannot repeat the atrocities of Algeria in another Muslim nation and expect to get away with it again. Along with a group of men at the Mosque you help to arrange for men to travel to Iraq. It is Jihad. The government do not understand the struggle. They believe that you are a member of an underground, terrorist cell. Rather than protecting Muslims in the Middle East, they think you just want to kill Western soldiers. The group of men you associate with at the Mosque are called extremists. You are all arrested. Whilst you spend time behind bars, your brother is following a similar path to the one you took. He sees the murder of innocent Iraqis, he sees the torture of them, and he sees the Western ally Israel commit atrocities of their own on the people of Palestine, without anyone doing anything about it. By the time you leave prison, the world feels very different. People cross the street when you approach, racist attacks against Muslims in France have become common, and the far-right political party, the National Front, are growing in popularity. As the months pass more Muslims become victims of atrocities. The killing continues in both Iraq and Palestine, and the torture continues unopposed in Guantanamo. It seems the streets aren’t even safe for you any more. You don’t feel welcome in your own country. You seek refuge in prayer, and in conversation with the men at your Mosque. You feel like shouting at the world, screaming in both pain and anger. Why have things become this way? There are those who do speak out, but they are silenced. The French government accuses them of hate speech. Your own ears hear the hatred of the world everyday. You pass into your 30s and still the discrimination continues. Still you see your image ridiculed, your God mocked, and your people murdered. There is no outlet for you. Everyone is blaming you for all of their problems. For the last few years you have felt like you don’t belong. The National Front grows in popularity. The Palestinians die in silence. The rage burns within you. Your life descends deeper into a pit of hatred and solitude. You know this world doesn’t care for you. Your Muslim sisters have been banned from wearing their hijabs, your Muslim activists have been banned from showing support for Palestine, your Muslim icons have been banned from speaking out. Everyday you and your brother are discriminated against. New years do not bring joy, instead they bring a fresh wave of hatred. Across Europe people are marching to the tune of “we hate you, get out of our country.” Wherever you turn there is a reminder of what the world thinks of you. Terrorist. Terrorist. Terrorist. Papers carry the headlines, politicians issue the rallying call, and magazines publish the insults. You and your brother feel like you have no future. How could you? You have no present. Your culture, traditions, brothers, sisters, and God are mocked and insulted. You are spat on by society, your voice is ignored, and you are invisible until the time whereby someone needs to vent their anger or hurl abuse. The Koran states that paradise awaits you after this life. Your friends at the Mosque say that this could become a reality. You choose not to leave this Earth alone. You’re a terrorist already, what difference does it make? Written from the notes kept during my time inside Syria in 2013. 100% of the money received will be donated to charities dealing with the Syrian crisis. The Levant War: 2011 – ? Tattoos: An Expensive Hobby or a Lifetime Investment?